for a Private/Duo/Trio Session here!!! 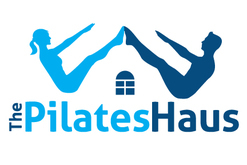 Give Pilates ​as a Perfect Gift !!! ​for our Group Classes here!!! * Please note that Group classes are not recommended for anyone with serious injuries, pregnant clients, or individuals who have no prior Pilates experience. Please feel free to contact us if you have any questions.